Just rest, feel good and relax. 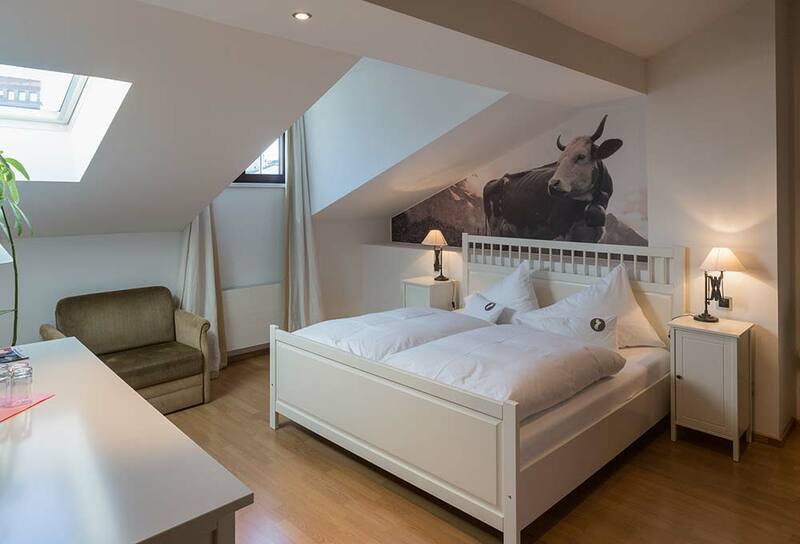 Staying at the Weisses Rössl Old Town Hotel & Inn means feeling the pulse of a lively city without having to give up on peace and quiet. This is because our hotel is located right in the middle of the Innsbruck Old Town pedestrian zone, only a few steps away from the most beautiful sights. For their stay, our guests can choose from two different room categories. 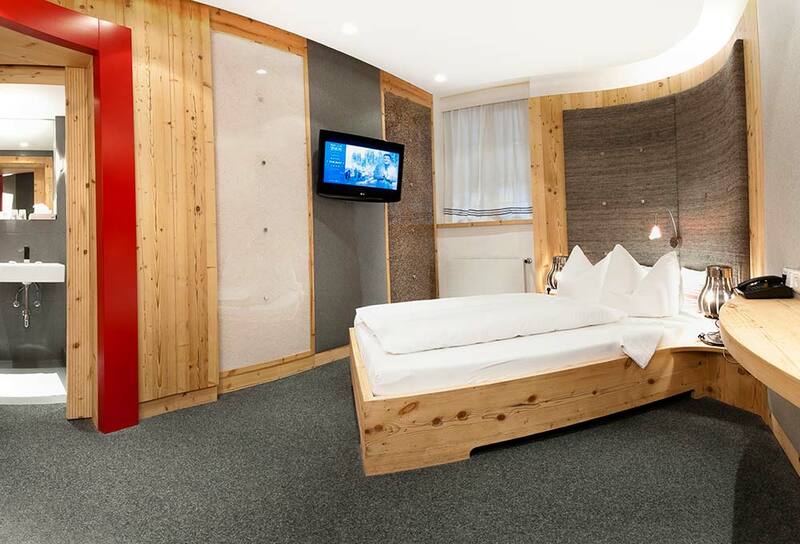 Our cosy standard rooms are pleasant and friendly, offering all the comfort you need. Our “culinary” rooms on the other hand are a bit larger, brighter and more modern, with plenty of wood, fine fabrics and earthy colours. Renovated with attention to detail and equipped with trendy lighting designs, each of these feel-good havens has its own exquisite name. 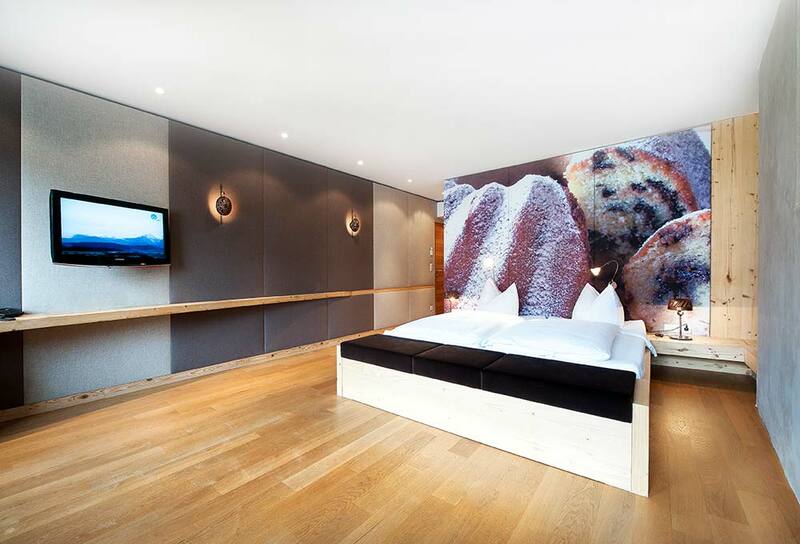 Book your nights in the “Mohnstriezel” (poppy seed bun), “Gugelhupf” (ring cake) and other tasty rooms – sweet dreams are guaranteed here! – A perfect start to your day! Our child discounts are quite flexible and generous and are provided based on age and the number of children upon request. Are your travelling by car? When staying with us, you can park directly at the public Altstadtgarage at Innrain 4 in Innsbruck at a special price of € 11.00 per day. Simply take a ticket and give it to reception when you arrive. We kindly ask you to vacate your room by 11.00 on the day of departure. Please inform us by telephone if you will arrive later than 20.00. When making a reservation, we kindly ask you to provide a credit card number to secure it. Your credit card will of course not be charged in advance. You can cancel free of charge up to 48 hours before your arrival date. A cancellation charge of 100% will be applied afterwards. Our booking terms and conditions shall apply. 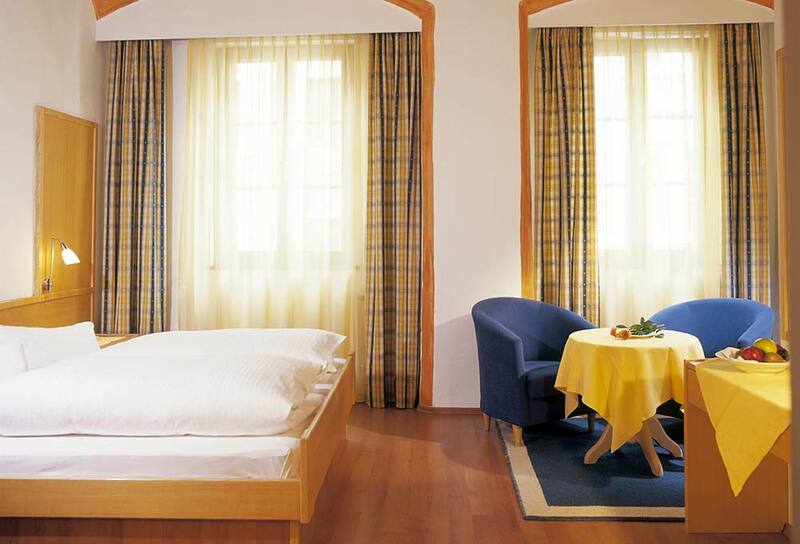 Moreover, the General Terms and Conditions for the Austrian Hotel Industry apply (general conditions of contract). The place of performance and jurisdiction is Innsbruck.